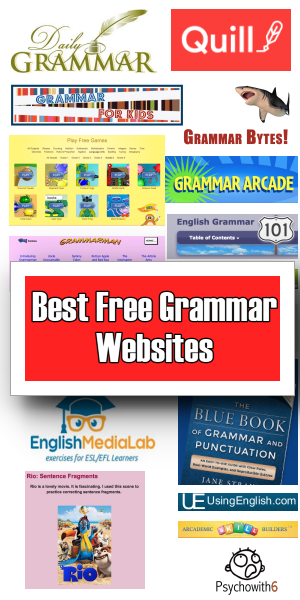 If your students struggle with grammar or find it boring, you’ll love these free grammar websites that can serve as a complete curriculum, a great complement to your studies, or a fun, occasional break. I’ve reviewed dozens of grammar websites (so you don’t have to) and have determined that these are the best of the best! 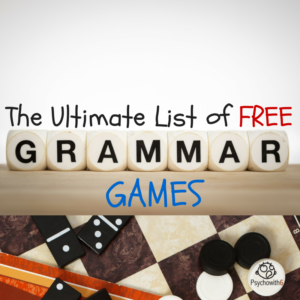 If you’re looking for grammar games be sure to check out this popular post. Grammar games are included with the Grammar Galaxy lessons your student will love! 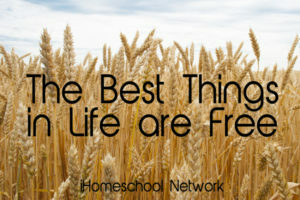 If you’re looking for a complete, free language arts curriculum, look no further. 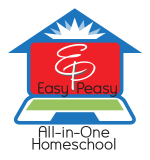 I’m crazy about Easy Peasy All in One Homeschool because it offers pre-planned instruction online. If you want only grammar lessons, students can complete just those sections. I’m crazy about the Virtual Grammar Lab because it provides a search engine of grammar websites for grammar concept and type of activity. Search results tell you if the activity is easy, medium, or difficult. It could serve as a complete curriculum if you used a scope and sequence like this one from Easy Grammar. You can also sign up for a free account so you can track your students’ progress. I’m crazy about Daily Grammar because it can easily serve as a complete grammar curriculum. 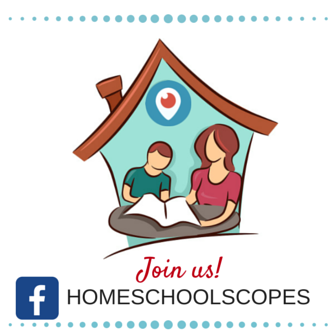 Lessons include practice questions and quizzes follow every five lessons. While the English Media Lab is designed primarily for English as Second Language students, I’m crazy about the breadth of activities listed at this site for all students of grammar. 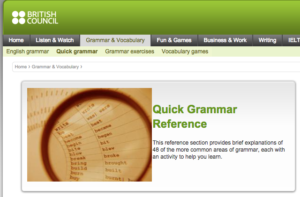 If you’re working with a scope and sequence of some sort, this site will provide you with everything you need to teach and enrich the study of grammar. I’m crazy about these classic videos that I remember from childhood. 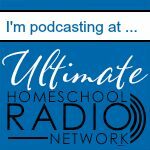 If I remember them, our kids will, too! 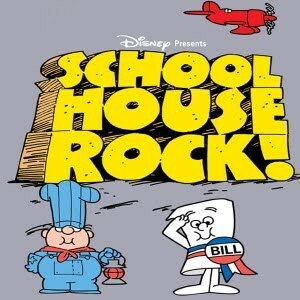 You can find the grammar videos among all the School House Rock videos on this Disney curated playlist. I’m crazy about this website that offers easy-to-remember tunes that teach grammar concepts. I’m crazy about Grammar for Kids because it provides links to games and sites around the web that teach various grammar concepts. I’m crazy about Grammar Practice Park because it offers games to teach grammar concepts like proper / common nouns and sentence type for grades 3 through 5. 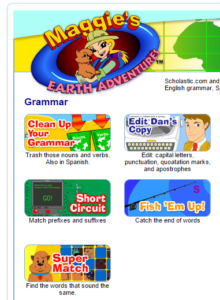 Grammar Gold, also through Harcourt School Publishers, offers grammar downloads for grades 1 through 5. I’m crazy about Arcademic Skil Builders because it has the most game-like interface of the websites I reviewed. 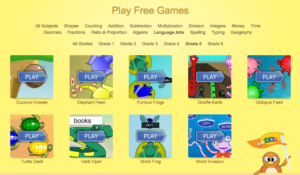 While it doesn’t offer a lot of games (Furious Frogs, Word Frog, Verb Viper, and Word Invasion are the true grammar games), your students are likely to enjoy them. I’m crazy about Grammar Gorillas because it’s a great alternative to sentence diagramming. Beginners can choose nouns and verbs from sentences and intermediate learners can identify all the main parts of speech to earn bananas. 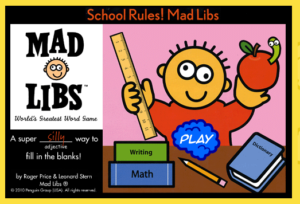 Once your students know the main part of speech, they can do Mad Libs online. I’m crazy about Mad Libs because rather than just identifying nouns and adjectives, kids have to choose them. As with any Mad Libs, the results can be entertaining. 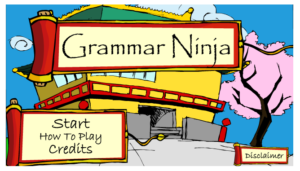 I’m crazy about Grammar Ninja because it’s a great way to entice boys to practice identifying parts of speech. Throwing stars get stuck in the words that are chosen correctly and “ninjas” are encouraged for correct responses. I’m crazy about Maggie’s Earth Adventures because of the real-life contexts for the games. Nouns and verbs get sorted into recycling bins. If a student makes a mistake, the sand gets littered with that word’s trash. The editing game involves helping a reporter get his grammar correct by retyping. Other games help students with prefixes and suffixes and word matching. I’m crazy about Grammar Blast because it offers grade-level quizzes (for 2nd through 5th grade) that mimic questions kids will encounter on standardized testing. Kids will like earning points for correct responses on multiple grammar subjects. I’m crazy about Grammar Man because the site uses comics (in printed and movie form) to teach grammar concepts. There are some excellent printables on vocabulary and reading here as well. I’m crazy about this website because its many online grammar quizzes can also be printed as handouts. I’m crazy about Quill because of its beautiful interface and the practice students will get typing their answers, rather than just choosing a multiple choice radio button. 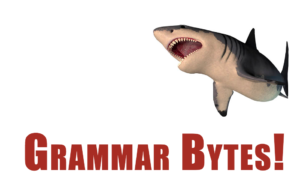 I’m crazy about Grammar Bytes because its exercises offer teaching followed by funny responses to your answers and even more importantly, a thorough explanation for incorrect answers. Power Points, online exercises, and accompanying handouts are available. This is one of the most unique grammar websites and may be super motivating for your students. 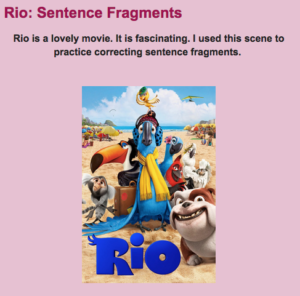 Movie clips are used to teach grammar concepts. There are exercises and associated worksheets. I’m crazy about Grammar Arcade because it also has a true gaming interface that middle and high school students will enjoy. There are 10 concepts for students to study. Note that if you are sent to Classzone’s main page, you will need to click on California on the map and then click GO to access the grammar arcade. I’m crazy about the British Council’s Learn English because it teaches students a grammar concept and follows the lesson with interactive quizzes which can earn points. Fifty grammar concepts are covered. 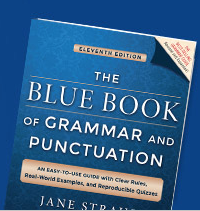 I’m crazy about the Blue Book site because has a number of excellent free grammar lessons and quizzes and in particular has a great grammar pretest and mastery test. I’m crazy about this website because it can serve as a complete grammar course for your upper level students. Students must score 80% or better on quizzes before continuing. I’m crazy about the Guide to Grammar and Writing because it’s an extremely thorough treatment of grammar with associated quizzes that could serve as a complete grammar curriculum for your upper level students. Be sure to pin this post and follow my Grammar Ideas board on Pinterest for more great grammar teaching inspiration! 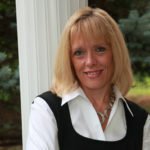 Follow Dr. Melanie Wilson @psychowith6’s board Grammar Ideas on Pinterest. 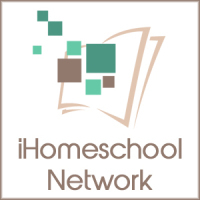 Check out more amazing free resources from iHomeschool Network! It’s a fairly detailed grammar site, for high school ELLs and native speakers, but packed with clear examples to help students distinguish one thing from another.